From your reliable open-top bus tours to your more modern two-wheeled Segway routes, and even a few jet-ski tours in between, nowadays there are hundreds of ways to see the sights in Europe’s biggest cities. But if you want to explore the best attractions in the Catalan capital to the fullest, and pick up some top tips from the locals along the way, you can’t beat a good old free walking tour of Barcelona. There really is no better way to really get to know a city than by roaming the streets. From the grand Passeig de Gràcia to the bustling Barceloneta to the hidden treasures of the winding Gothic Quarter alleys, a walking tour captures all the details of each beautiful ‘barrio’ and its many sights. 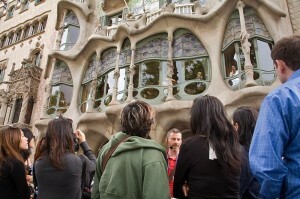 And since many walking tours in Barcelona are led by local guides, your experience will be topped off with some interesting stories, facts, tips and anecdotes straight from the Barcelona experts sharing their knowledge of the city’s geography, history, architecture and secrets – all free of charge. Operating in 12 European cities, Sandemans are big stars in the walking-tour industry. Offering a free 3 hour tour of Barcelona covering everything from the Barcelona Cathedral to the Olympic Legacy, these guys will give you a real taste of Barcelona’s history and culture. 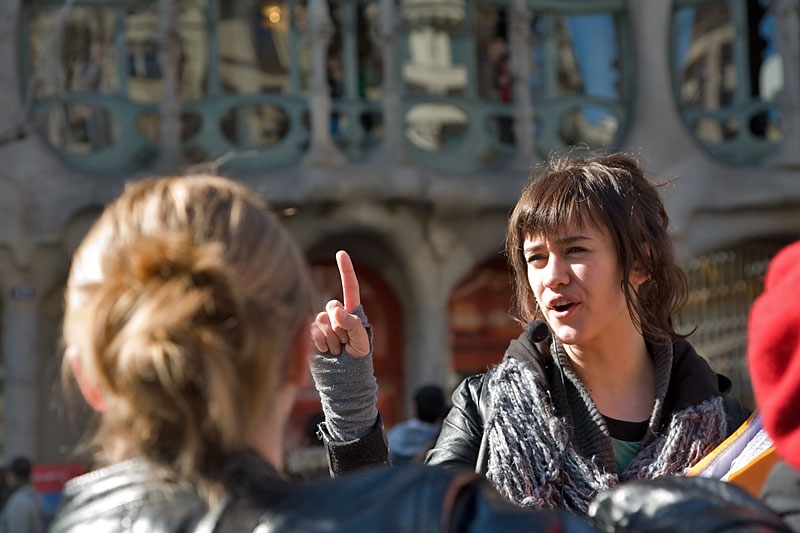 What’s more, the guides are known to be charismatic, charming and very knowledgeable, so don’t be afraid to ask them all your burning questions about Barcelona! Sandemans also offer specialized tours from tapas routes to Gaudí and Modernisme, ideal for those looking to find out about Barcelona’s culinary culture or the most amazing structures in the city. Although these tours start at 10€, they’re well worth it and will leave you with some lasting memories! Book your free walking tour of Barcelona online here and head to the Jaume I metro stop any day of the week at 10am, 11am or 2pm. Feel Free Tours offer a variety of ways to see the city: by bike, by boat or even with a tapas tour and Flamenco show, but this company’s free walking tour of Barcelona is an experience not to be missed. Stride through the streets with your guide as you are led down Las Ramblas, past Plaça Reial, all the way to the Palau de la Música Catalana on this two hour Old Town Tour of Barcelona. You could also opt for the free walking tour of Gràcia, where you’ll find out all about the cool Catalan-bohemian culture of this popular Barcelona ‘barrio’, ending with a welcome stroll around the spectacular Park Güell. Top Tip: Grab 2€ discount on any of the Flamenco, boat and other paid tours when booking your apartment in Barcelona with Apartment Barcelona. The Old Town Tour begins at the Hard Rock Café in Plaça Catalunya at 10:30am, but for those who prefer a later tour, another one sets off at 4:30pm. Runner Bean Tours offer a personal tour with a dab of charm. With two free walking tours to choose from, Gaudí and The Old City, this company will give you the best tips on Barcelona and let you into some secrets of the city. 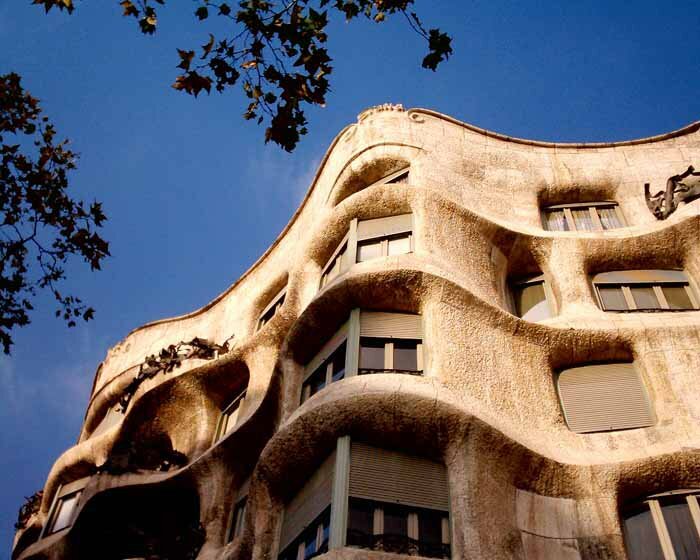 Put yourself in Gaudí’s shoes as you get to know the ins and outs of his very eccentric life, marvel at his magical buildings and of course his unfinished masterpiece, La Sagrada Familia. 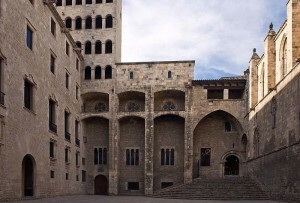 If you’re a self-proclaimed history buff, immerse yourself in the rich medieval past of Barcelona as you amble through the ancient streets winding in and around the Gothic and Jewish Quarters while you catch a glimpse of Barcelona’s Roman heritage. Coming to Barcelona with kids? Runner Bean also offer a great family-friendly walking tour where youngsters can step into the traditional festivities of Barcelona, learn about the legends of medieval kings and queens, attend workshops and sing-song their way around the city. Prices for this tour start at 15€ per family. So whether you fancy learning what Gaudí, Star Wars and lollipops have in common or you want to find out why exactly 13 geese live in the Barcelona Cathedral, a Runner Bean walking tour is definitely for you. 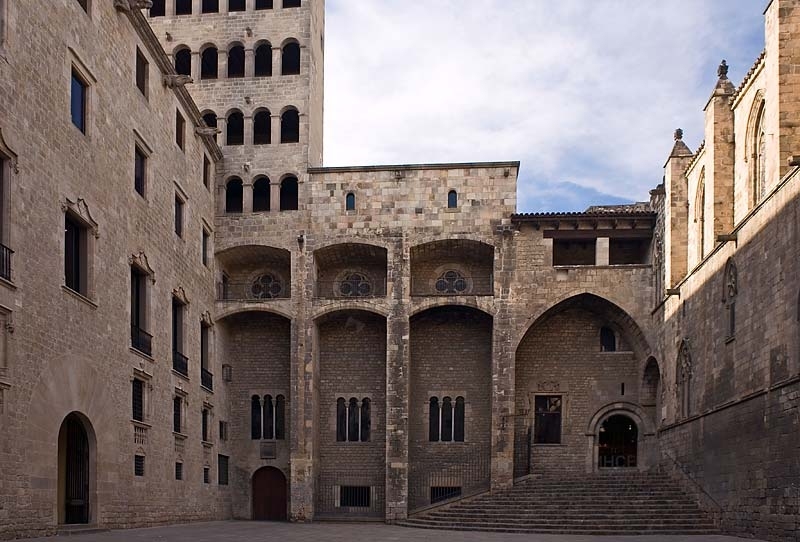 To try this tour, head to Plaça Reial at 11am or 4.30pm any day of the week! Been to Barcelona before? Not interested in the usual sights? Itching to get away from the tourists? 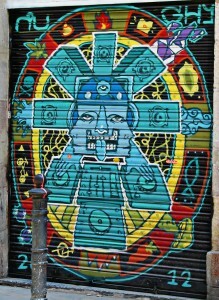 Then the Travel Bar Alternative Barcelona Tour is the one for you! With its tagline ‘Get out of the tourist track!’ there’s no Sagrada Familia in sight with this group! 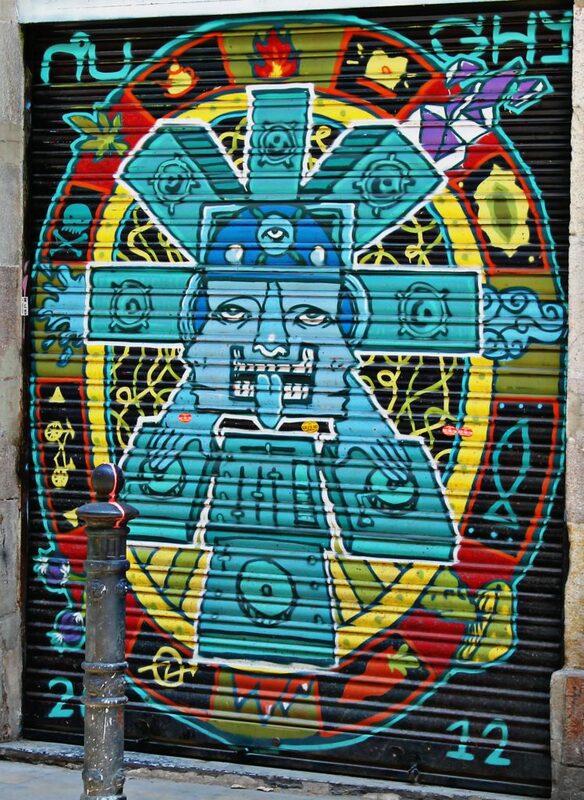 This free walking tour is all about discovering the real downtown culture, along with street art, squat houses and the grunge scene of Barcelona. Really get in with the locals with this quirky, bohemian tour and visit some of the most undiscovered parts of the city. And don’t forget your camera, as the route has been described as an urban photographers dream! Tours leave daily from the Travel Bar on Carrer de la Boqueria, 27 at 11am, 1pm & 3pm. NEXT City Tours operates in 5 different cities around Europe with 20 different free walking tours. Come explore Barcelona and get lost in the magic ancient narrow streets with the professional local guides as they reveal how a small Roman settlement became one of the most important cities of the Mediterranean. The passionate guides will share local tales & stories & give you great recommendations for the rest of your stay all while you meet other like-minded travelers. They offer two free 2.5 hour tours in Barcelona, one of which is a general tour covering Barcelona’s most amazing sights, the other tour is a Gaudí tour where you will discover the famous architect’s masterpieces. Book your free walking tour on their website or join them everyday at the steps of the Gothic Cathedral at Pla de la Seu at , 3:00pm(Gaudí tour) and 11:30am, 3pm (general tour). So, get those legs moving and enjoy the best of the city with a free walking tour of Barcelona. Whether you’re heading to the city for a summer holiday or a quick weekend break, these interesting and often illuminating tours are definitely worth a few hours out of your day. You never know, you might end up becoming a Barcelona expert yourself! Thanks for your comment, Mabel. That’s a great suggestion!